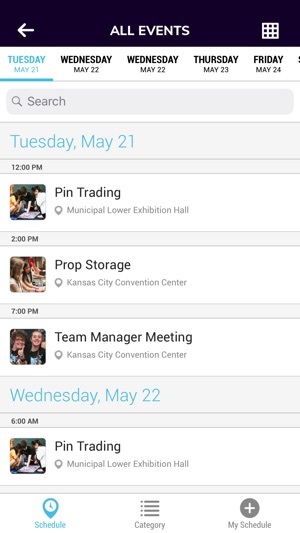 Welcome to the official app for Destination Imagination Global Finals 2019! 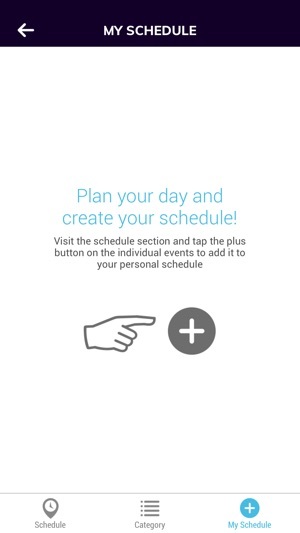 With this content-packed app, you can view tournament schedules, keep track of your “must do” events and activities, share your experiences on social media, and snap a custom selfie or two. 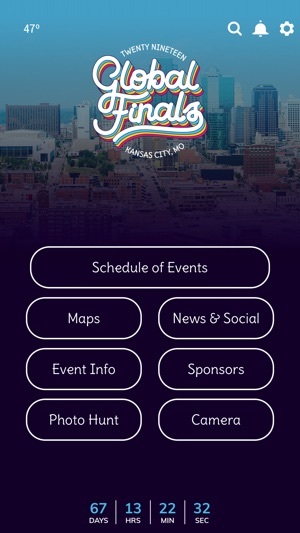 Create your own unique Global Finals experience by downloading our app today! 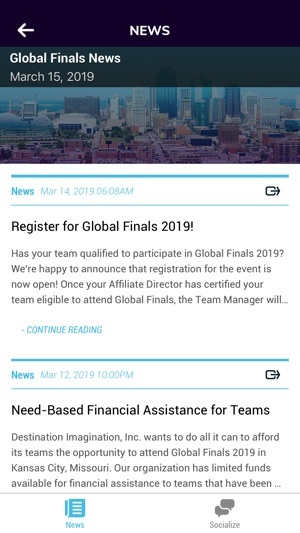 Refresh for the 2019 Global Finals! 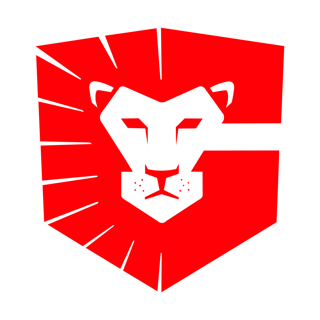 © 2019 Destination Imagination, INC.